« Don’t The Police Have To Give My Child His Rights? 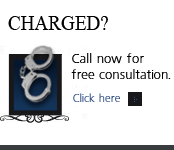 – Juvenile Miranda Warnings Under Colorado Law? 2013 saw the Colorado state legislature taking back some of the power of Colorado District Attorney’s in the area of juvenile law description. 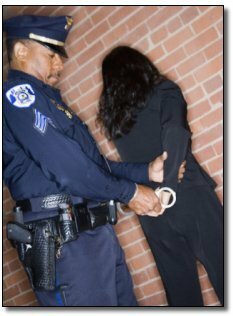 As a result of a perceived juvenile crime wave in the late 1980’s and early 1990’s – (something I remember well as I prosecuted one of the highest profile juvenile homicides at the time), district attorney’s were given absolute power of filing adult charges against juveniles and then prosecuting them in Colorado juvenile court. The juvenile involved in my case – nick named by the media at the time “Little Man” later was tragically killed in an unrelated gang shooting. That case – more than any other – brought home to me the irrationality of the actions of the gang of juveniles involved in the robbery and murder of this innocent teacher and the hysteria that followed almost made sense at the time. But like all forms of absolute power statistics – cited in the New York times piece demonstrate the abuse of that power. John Schwartz of the New York Times printed important statistics compiled by Kim Dvorchak of the Colorado Juvenile Defender Coalition. Research supporting the change in the law which takes the political power away from Colorado’s District Attorneys disarming them of their absolute power to try juveniles in adult court – demonstrates the differences between the adult and juvenile brain. The culpability of those charged with crimes in the United States is supported by two broad theories. Those theories are “choice theory and character theory” (Scott and Steinberg, 2008 – no relation). Choice theory means that a person who commits a criminal act is fully responsible and deserves full punishment if they are capable of rational thought and have a fair opportunity to not engage in the criminal act. Character theory uses an offender’s general social standing, prior history, and related psychological and psychosocial information to show that engaging in a criminal act is abnormal, and therefore not the result of deficient moral character. 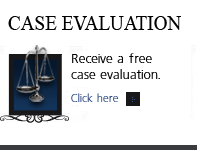 Both theories yield to the recent research – and that is the fact that adolescents are clearly less culpable for criminal offenses because their poor decision-making skills are in a state of developmental flux wherein their moral character is not fully formed. The systems of the brain systems responsible for controlling critical aspects of social and emotional maturity are in continue development throughout adolescence and into adulthood. This fact, the very different nature of the juvenile brain, has been recently recognized in United States Supreme Court cases in Roper v. Simmons, Graham v. Florida, and Miller v. Alabama which recognize that youthful offenders possess diminished responsibility on the basis of their immaturity and vulnerability to negative influences, AND the greater potential for their rehabilitation and reform due to the malleability of their character. 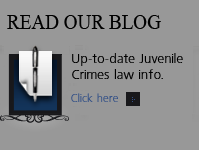 I have recently written about the nature of Colorado Juvenile Direct File and Transfer Hearing Laws in Colorado and the recent changes in the Juvenile Direct File law – I would encourage you to read those articles. Kim Dvorchak’s work is greatly appreciated here in Colorado . She rightly is quoted as saying that the old law “put too much power in one place — the district attorneys,” who, she rightfully observed, as elected officials, are biased in favor of obtaining the convictions demanded by what can often be viewed as an uniformed – but voting – public. DA’s in Colorado are elected.